As often as you like during your turn, you may put 20 damage counters on 1 of your opponent's pokemon. 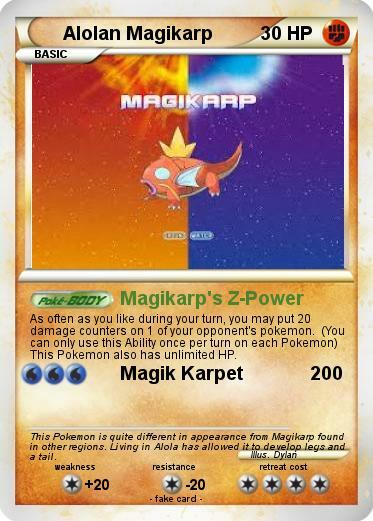 (You can only use this Ability once per turn on each Pokemon) This Pokemon also has unlimited HP. Comments : This Pokemon is quite different in appearance from Magikarp found in other regions. Living in Alola has allowed it to develop legs and a tail.